One of the endearingly ironic things about the Los Angeles area is that its place names often gesture toward the sylvan past, no matter how incongruous all of the “Gardens,” “Parks” and “Woods” strewn across the basin by real estate developers of yesteryear are to the realities of life in today’s congested metropolis. Although it may be (depending on the scrupulousness of the original marketers of the developments in question) that these were once accurate descriptors, the contemporary presence of gardens, parks and woods in any of the neighborhoods named after such pleasingly pastoral features is by no means guaranteed. There are, however, place names that manage to describe exactly what is to be found around their pinpoint on the map, and Lawndale is one of them. The city is in the Centinela Valley, which ticks the “dale” box, and there are certainly lawns aplenty in this South Bay haven of single-family homes — although those tiny parcels of manicured, green grass did not fully flourish until nearly 50 years after the town was named. Originally, Lawndale was part of a rancho, like most of the South Bay. A Scottish nobleman named Burnett bought it at auction in 1868 and shipped off for the auld country once his immediate forebear passed and he could take control of his long-waited inheritance. That left the future city of Lawndale in the hands of tenant farmers named Daniel and Catherine Freeman. The couple had no sooner signed the lease for the land before a crippling drought laid waste to their herd of sheep. By necessity they began dry-farming the barley and other drought-resistant crops that would define Lawndale for the next 70 years, although a string of real estate speculators would do their level best to rebrand the town as a desirable suburban development. Charles Hopper was the first to attempt to turn dun-colored fields of barley into American greenbacks. With great fanfare he opened the bidding for his new Lawndale subdivision in February 1906. He had so few takers that he held a second, grander grand opening four months later that similarly tanked. But Hopper had, as it were, planted the seed of Lawndale. It would not be until 1958 when his suburb was fully realized. That was the year that a zoning change killed the last farms in the area. One year later, Lawndale incorporated as a city of modest homes, each with its own grassy patch to mow. 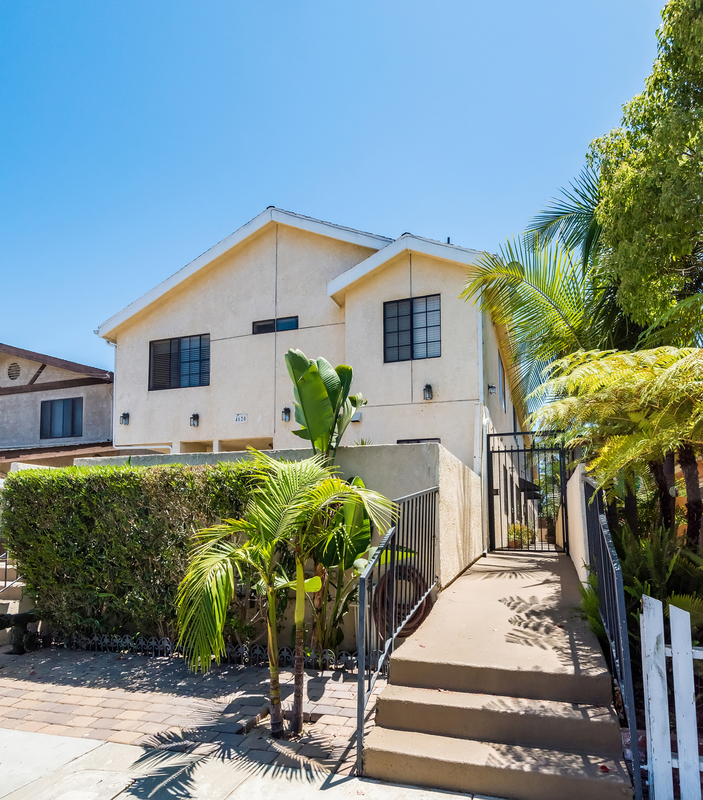 South Bay bargain: There are not many places in the South Bay where you can find a home fewer than four miles from the beach for less than $600,000, and Lawndale is one of them. Small town, big amenities: Whatever Lawndale may lack due to its size, its neighbors make up for with Redondo’s South Bay Galleria and El Segundo’s dining hot spots a short drive away. South Silicon Beach: Lawndale is adjacent to the burgeoning tech hubs of El Segundo and Hawthorne, making it potentially appealing to techies looking for starter homes. Inventory shortages: Many of Lawndale’s single-family homes are renter-occupied, which means that homes hit the market less frequently, and those that do may have been modified to be multifamily. Mary Bracewell, a Schneider Properties agent active in Lawndale since 2010, said her team recently sold a home for $15,000 over the asking price before it hit the market. She credits a spike in South Bay developments. Lawndale is drawing families with relative affordability, wide residential streets and proximity to the beach and other attractions. South Bay Galleria, found on Lawndale’s southern border, was approved in April for a massive redevelopment that will add 330,000 square feet of retail, dining and office space and a 300-unit apartment building. Market snapshot: In the 90260 ZIP Code, based on 10 sales, the median sales price for single-family homes in June was $600,000, up 12.2% year over year, according to CoreLogic. 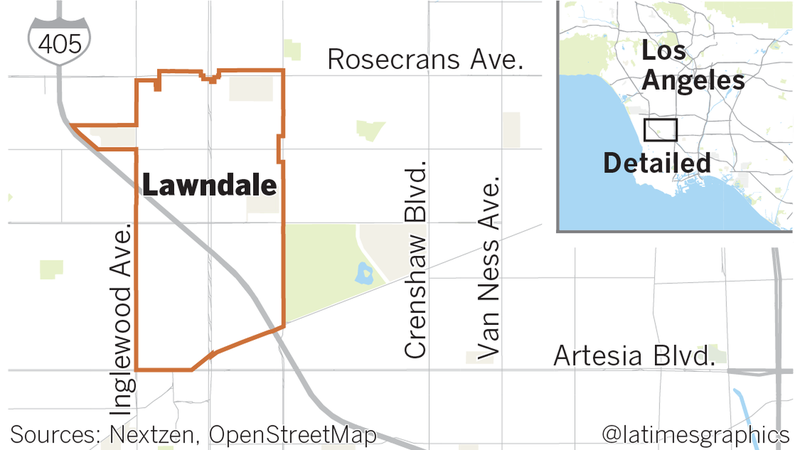 Report card:Within Lawndale are nine public schools. Four of them scored above 800 on the 2013 Academic Performance Index: Lucille J. Smith Elementary, at 834, Jane Addams Middle, at 825, William Green Elementary, at 817, and Billy Mitchell Elementary, at 800. Leuzinger High, the area’s largest high school, scored 671.